Please join us for a tasting of our current releases of Pinot Noir and a selection of older vintages. Saturday, July 19, 2014 (Passport Program) from 11am to 5pm. 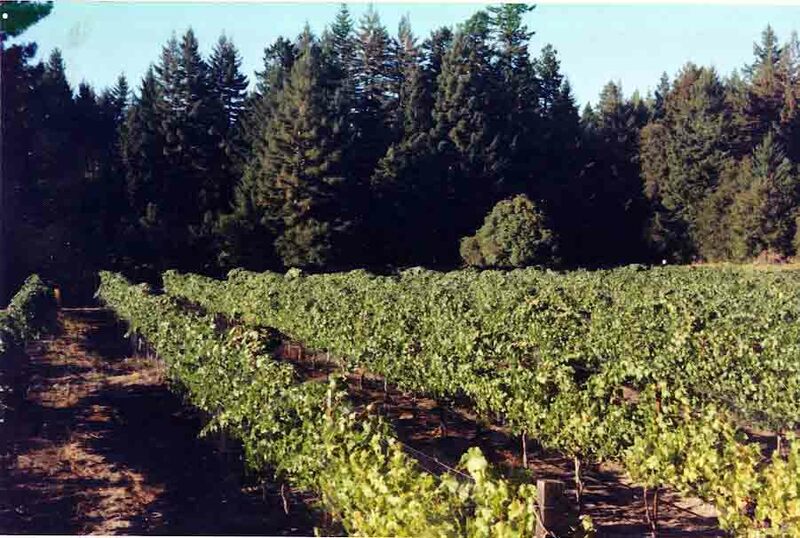 We are part of the Santa Cruz Mountains Winegrowers' Association that offers programs where you can enjoy all the beautiful wines of the Santa Cruz Mountains. Gorgeous scent, warm and velvety feel, complex and delightful flavor, and pleasingly sensuous after-taste � we are delighted by the quality of the 2011 Estate. We are saddened that very few will ever experience our 36th vintage � there are only 75 cases of this precious wine. Harvest happened on September 30 at 23.3 degrees Brix, 1.0 TA, and 3.2 pH. The wine aged for 20 months in 60 gallon Francois Freres French oak barrels. 75 cases produced. $30 per bottle, $324 per case. Alc. 13.0% by volume. This is an extraordinarily delicious wine. No words do justice to its beautiful scent, soft feel, complex taste, and delightful after-glow. It has the magical balance of a great Burgundy of tenderness and power. We picked on September 30 at 23.3 degrees Brix, 0.9 TA, and 3.2 pH. Such precious fruit deserves the best cooperage (Francois Freres French oak). 64 cases produced. $32 per bottle, $345.60 per case. Alc. 13.1% by volume. McHenry Vineyard, 2009 Pinot Noir, Estate, Santa Cruz Mountains We still have a few cases of this delicious wine that came from our grapes with perfect ripeness (23.5 degrees Brix) while sustaining the ideal level of tartness (0.8 TA, percent by volume, 3.3 pH). We picked on September 15. It rested for 20 months in 60 gallon Francois Freres barrels. It has a pleasing and complex aroma with a hint of smokiness derived from the nearby Lockheed forest fire. It is soft and luscious in the mouth and it leaves a most gorgeous feel at first swallow. Whenever we serve it to our friends, the bottle disappears very quickly. We are incredibly indebted to the heroic efforts of over 2,000 fire-fighters who quelled the great fire before it destroyed all of our sacred redwood forests. We pledge to donate one dollar of every bottle sold through the winery to support Bonny Doon Fire and Rescue. 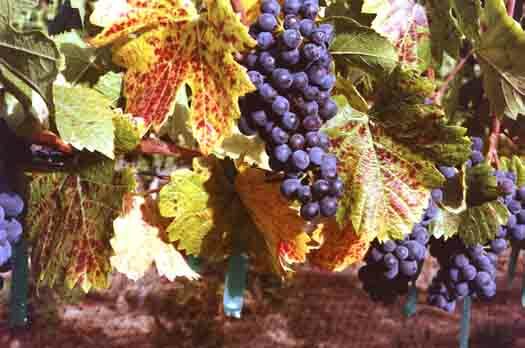 McHenry Vineyard, 2010 Pinot Noir, Estate Swan Clone, Santa Cruz Mountains One block of our vineyard contains plants derived from cuttings originally from Joe Swan�s vineyard. We have noticed over the years that this clone had special qualities. In 2010 the Swan block ripened beautifully (25.4 degrees Brix, 3.3 pH, 0.9 TA percent per volume) and resulted in a wine over 14% alcohol that was perfectly balance by blending it with 34% of our clone 13 grapes. We are so pleased by the result! Its luscious aroma is beyond simple description or comparison. It is a nectar of pleasure. Serve this at special occasions with almost any gourmet meal and guests will be delighted. If you have a way of aging wine with steady and cool temperatures, this wine will explode with unbelievable bottle bouquet beyond even its beauty at this moment. 137 cases produced. $32 per bottle, $345 per case. A few bottles of those older siblings are still available. Most have departed, but we have held back the, 1999 Massaro Vineyard, and some decade-old Pinot Noir from Amaya Ridge Vineyard. The 1996 Massaro Vineyard, the 2000 Massaro Vineyard, the 2001 Estate, the 2002 Estate, the 2003 Estate the 2004 Estate, the 2005 Estate, the 2006 Estate and 2006 Estate Swan Clone, have SOLD OUT. Please come visit to taste these special delights!